Have you ever seen an aquarium with a terrible plumbing job? Not only does it look bad to have a poorly designed and/or constructed plumbing system, but poor workmanship and flaws in design can lead to disastrous results down the line for your aquarium installations. Fish Geeks thinks that a well designed and properly crafted plumbing system is a thing of beauty, and offers our premium aquarium installation and maintenance services as an alternative to ‘that other guy’. Fish Geeks will design a system that will accommodate your current and future aquarium needs without breaking the budget. 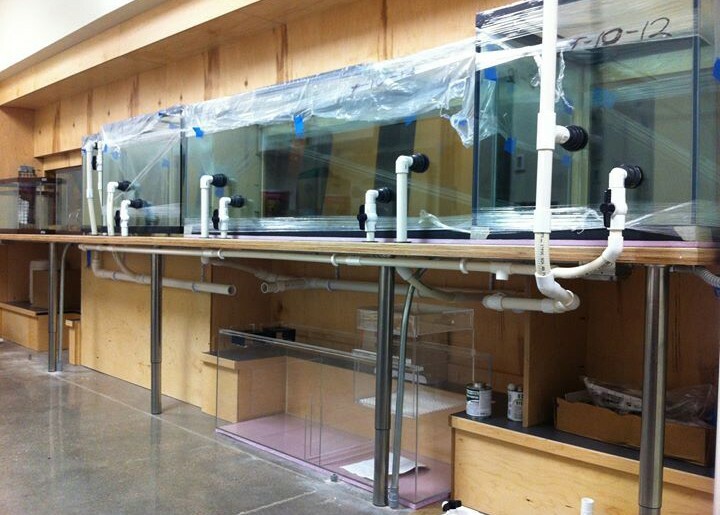 We guarantee Fish Geeks quality craftsmanship will set us apart from other installation companies. The key to any successful aquarium is a properly functioning life support system. 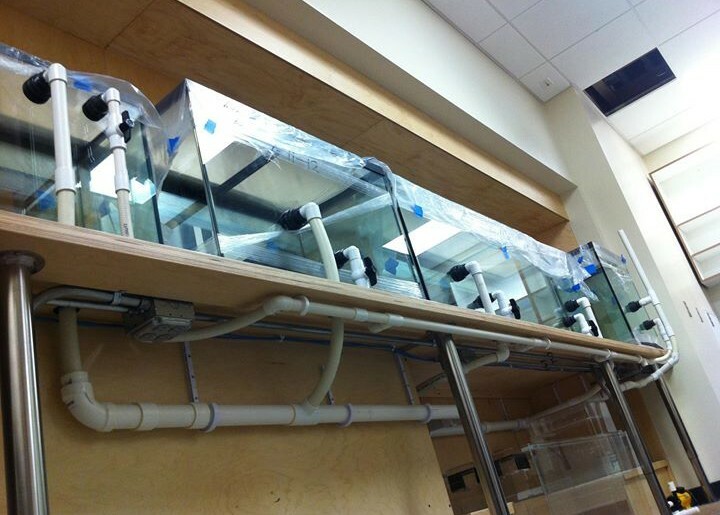 This can take on a nearly infinite array of shapes and sizes of devices crammed in the cabinet underneath the tank. We can assess your goals, and offer you a system built to address issues that you are likely to face as your aquarium matures. Fish Geeks will work with you to build a freshwater or saltwater aquarium set-up that matches your goals and your budget. Are you tired of the stale out-of-the-box aquarium setups available at the big box stores? We can design your system from the ground up and install a custom aquarium system designed to precisely fit your needs and your space. Whether it is a custom aquarium, stand, sump or refugium, or a fish tank built into a wall, Fish Geeks has the resources to assemble a top of the line custom saltwater aquarium. Fish Geeks can design your custom glass aquarium or custom acrylic aquarium to fit your space, and aquarium manufacturers will build your custom aquarium to order. In addition to aquarium installation and maintenance, Fish Geeks will ensure that water flows through your system as predicted. A properly engineered system ensures that you have a functional, efficient and reliable aquarium system. Let us run the numbers. By employing some simple techniques and scientific principles, we can optimize your system without inflating the price. We’ll choose a system that will operate efficiently, efficiently, and most important, economically. 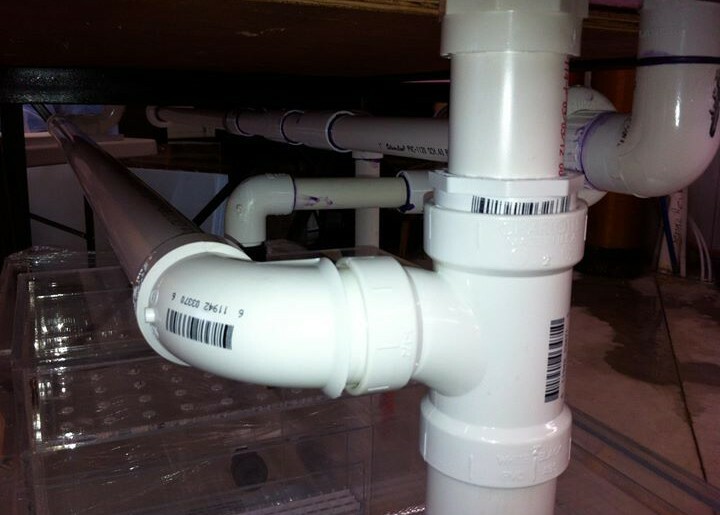 Here at Fish Geeks, we find a neat and precise plumbing job to be a thing of beauty. Pipes joined with fittings at odd angles not only looks unappealing, poor plumbing is a flooding liability. Fish Geeks can handle the aquarium installation and maintenance services after the setup is complete. Let us plumb your next aquarium system. You will see the difference in quality of workmanship right away.